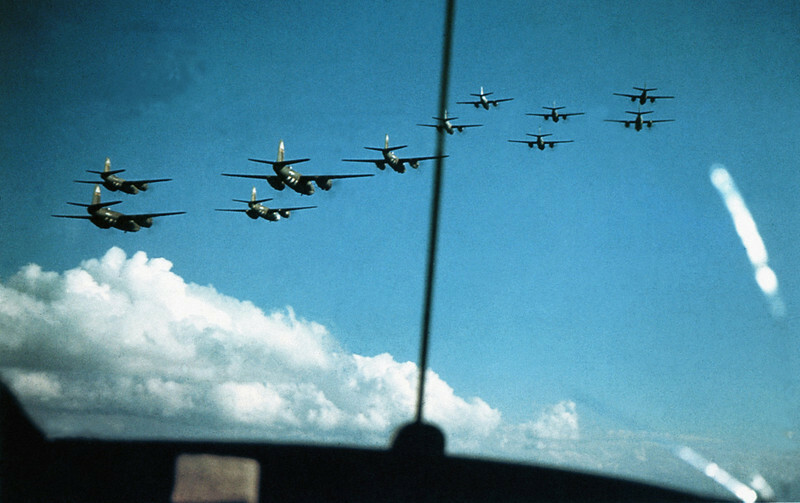 In World War II – up to and beyond D-Day – some of our fathers, uncles and other relatives flew in bombers (B-17s and the like), from bases in England, with targets in Germany and other European countries. The flight over the English Channel, then to their target and back was usually pretty harrowing; flak, enemy fighters, seeing fellow fliers shot down or killed before their eyes. But when they got back home, their ordeal was far from over. The first thing they did was de-brief. They’d been “briefed” before the flight, where they learned their objectives and what they’d be up against. So de-briefings were just interviews after the fact – very probing interviews – at which the fliers got questioned to see how close they came to their objectives. How many and how effective were the enemy fighters? How close to the targets did they come? What did they do wrong? How could they have done better? At the start of the war the de-briefings were “abysmal.” Fliers were wildly optimistic about how well they’d done, how close to the targets their bombs fell, and how many enemy fighters they’d shot down. And because they believed in the righteousness of their cause, at the start of the bomber offensive these fliers tended to downplay anything negative about their missions. Part of the problem was that at the start the people who conducted the de-briefings weren’t all that experienced. They didn’t know how to ask the kind of skeptical, probing questions that got accurate feedback. (And at the beginning, such probing questions were no doubt greatly annoying to some fliers). The interviewers didn’t know how to ask, or felt uncomfortable asking, the kind of questions by which the fliers could learn what they did wrong. But eventually, “Bomber Command” started using aerial-reconnaissance photos and other sophisticated tools of “feedback.” Then the fliers started seeing how wildly optimistic, and wildly inaccurate, those first de-briefings were. So in time. the de-briefings got better, more probing, and so more accurate. Then the missions themselves got more and more efficient. Maybe that’s what the Bible and/or the church concepts of sin and confession are all about. (Or should be about.) When we “sin” we simply fall short of our goals; we “miss the target.” When we “confess,” we simply admit to ourselves how far short of the target we were. And maybe the purpose of all this is not to make people feel guilty all the time, as some seem to imply. Sources include The Air War in Europe, by Ronald Bailey, Time-Life Books (1979), at pages 35-36, and Max Hastings’ Bomber Command, Dial Press/James Wade (1979), at pages 102-103. So anyway, pages 35-36 of The Air War in Europe described the beginning of what came to be the “bomber offensive,” to December 1940. Before then, based on nothing but “rosy reports” from fliers themselves, after-action reports were wildly optimistic. With the advent of photo-reconnaissance (for example), fliers were “shocked” by negative feedback which showed how short of the mark they were falling. Early in the war it was discovered that for every ten air crews who claimed to drop their bombs on target, only one (10%) actually dropped the bomb load within five miles of the target. And finally, pages 102-103 of Bomber Command described how, at the start of the war, the level and accuracy of de-briefings was “abysmal,” conducted by staff members with no idea how to ask the kind of questions that could evoke accurate answers, and who “invariably overstated crews’ claims.” The passage also noted that with time, both the level of de-briefings and the efficiency of the individual missions improved. This entry was posted in Feast Days on June 6, 2014 by dorscribe@aol.com.